Locations: Kansas City, Moberly, Hagerstown, Boston- Vermont on Boston & Maine. 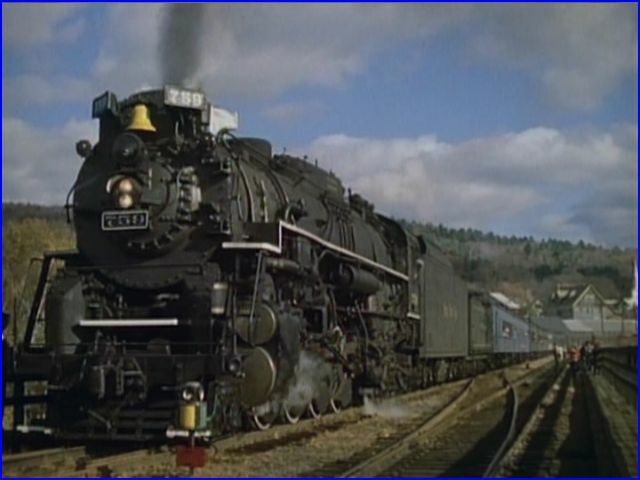 Nickel Plate Berkshire 759 is the subject of this short program. Volume 2 of the NKP Berkshire series. 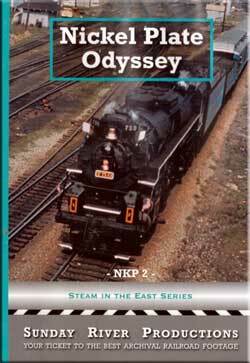 Three chapters cover the early years of excursion service for this steam locomotive. 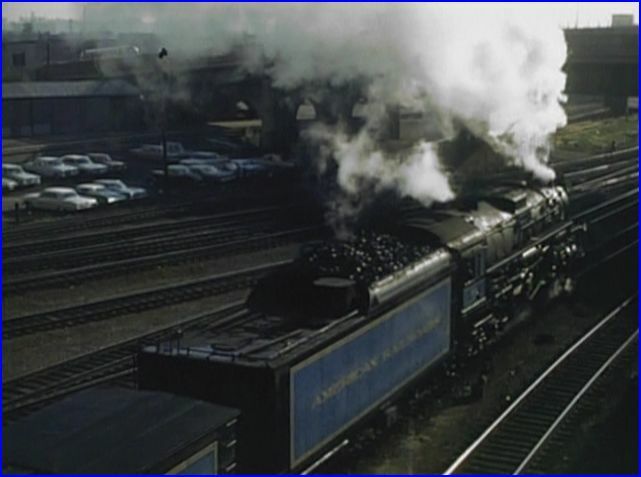 Beginning with the Golden Spike Centennial 1969 special. Story continues in 1971 on Western Maryland. A 1973 trip from Boston to Vermont will close the show. Exiting a tunnel at Bellows Falls, Vermont. 1973. Sunday River had this digitally remastered and edited in 2010. The collection of color films look fresh and vibrant. Audio is clear. Everyone likes to see the 2-8-4 smoke it up. Alva Morrison originally produced this show in 1990. He provides a good, informative narrative. Background on the 700 class and Nickel Plate Road. 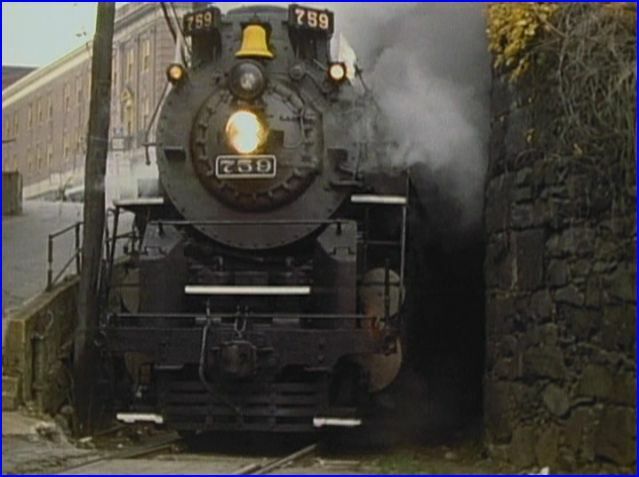 Scranton to Hoboken in 1971 on Reading rails. Cinematography is nicely done. Appears as mainly 16mm color film. In particular, the 1971 film is outstanding. Unknown source, the composition is great. Sunny weather also benefits the 1971 chapter. The later 1973 footage is almost as fine. Varying weather conditions in ’73. Audio has dubbed in train sounds. They are sufficient for the task. Some musical background as well. Overall, the soundtrack is adequate for an older production. 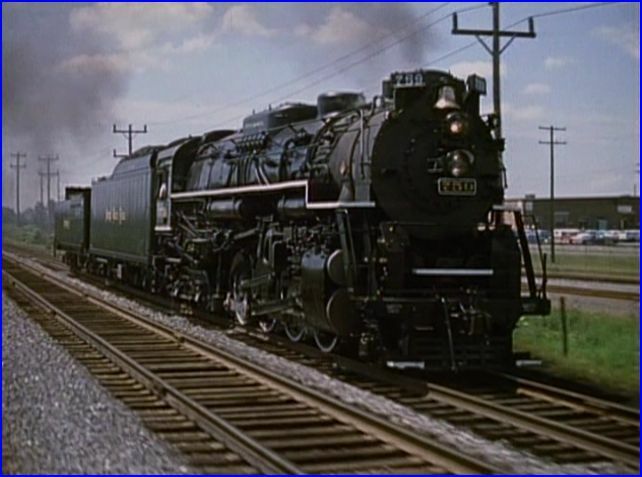 Mac Owen filmed a few minutes of the Golden Spike Centennial in 1969. 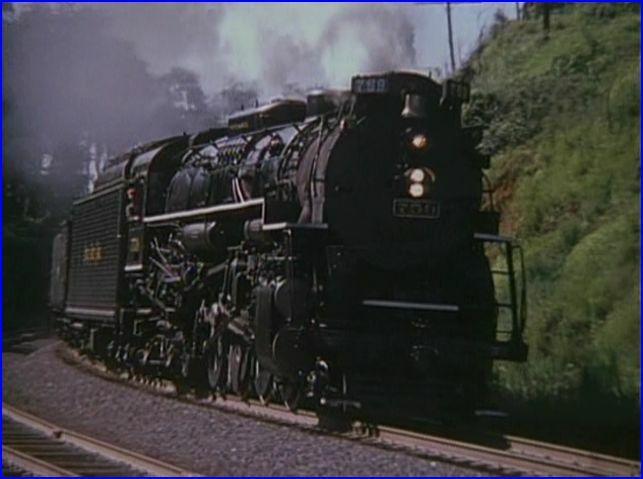 Pacing sequences from 1971 are from a parallel track. Extremely smooth and a must see. The 1973 footage looks great too. Some dreary weather on some scenes. Nickel Plate Odyssey is an excellent visit to the early excursion era for Berkshire 759. The 2010 remaster has this film collection looking sharp! Good viewing for the family. Plenty of steam action. The brief running time is the main consideration. Thematically, the three years offer an interesting perspective on the historical nature of this classic locomotive. 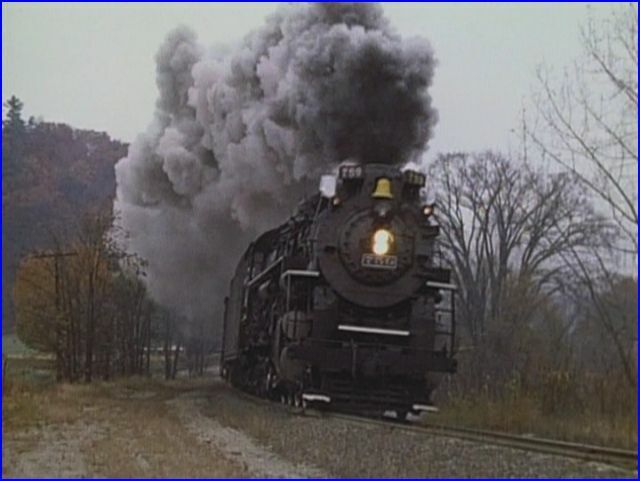 This entry was posted in ATVR Reviews and tagged American Train Video Reviews, Railroad, steam train, Train DVD, train video, train video reviews by William J. Hudson. Bookmark the permalink.